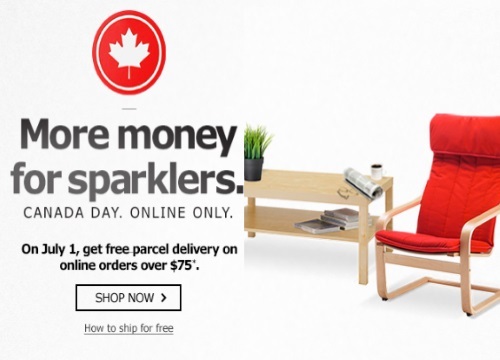 IKEA has a Canada Day sale on now! Get Free parcel delivery on online orders over $75! No promo code is required. To ship for free just pick the items that you wan to buy, enter your postal code and click calculate, if your purchase is over $75 and your order "delivery method" reads "parcel" your shipping total will be $0. Offer is valid on July 1, 2016 only. Click here to browse IKEA Canada.